Cosplay may be the most famous facet of Japanese fan culture in the world today. Combining and abbreviating two English words — costume and play —, the practice has become popular around the world. Historically, there has always been practice of disguise in each culture; European carnivals, Halloween, etc. In Japan, traditional theater called kabuki is said to have its origin in kabuki-mono, a group of people who dressed in bizarre outfits and were known for their eccentric behavior. Then, how is cosplay different from those cultures of masquerade around the world? 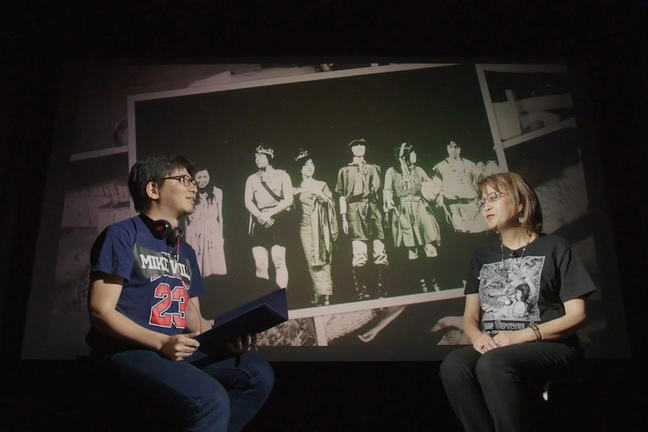 In the next step, we conducted an interview with Mari Kotani, a prominent fantasy and science fiction critic who is also one of the pioneers in Japanese cosplay. Being an ardent fan of science fiction since childhood, she joined the local science fiction coterie and started writing in zines. After graduating from college and working as a pharmacist, she started her career as a critic — eventually receiving the prestigious 15th Japan SF Grand Prize with her critical work, Joseijou muishiki: techno-gynesis josei SF-ron josetsu (Techno-Gynesis: The Political Unconscious of Feminist Science Fiction) in 1994. Her extensive bibliography includes works on Japanese anime (Seibo Evangelion, 1997 [Evangelion as the Immaculate Virgin]), science fiction criticism (Eirian Beddoferozu, 2004 [Alien Bedfellows]), and goth culture (Tekuno Goshikku, 2005 [Techno Gothic]). Kotani has given lectures at universities around the world and is the founding member of The Japanese Association of Feminist Science Fiction and Fantasy. She served as the chair of the Japan PEN Women Writers Committee and is also a member of the Science Fiction Writers of Japan. In the interview, we asked her about the cultural history of cosplay in Japan and how she got involved in the movement.